Artistic Hair & Makeup offers airbrush makeup services to Tampa residents, letting them in on one of the top beauty secrets of the stars. It’s been touted by such magazines as In Style, Vogue, Harper’s Bazaar and was the first real innovation in cosmetics in decades. And now, thanks to Artistic Hair & Makeup Salon Boutique, Tampa Bay residents can get in on the secret to the flawless look of celebrities: airbrush makeup. “Airbrush makeup is a high tech tool that hides blemishes and other imperfections, providing complete, even coverage for an incredibly sheer and natural look. Because the final look is a flawless matte finish, it is ideal in this era of high-definition television and high resolution digital cameras which tend to magnify every tiny flaw,” says Fran, owner of Artistic Hair & Makeup, one of the only area salons to offer the service. 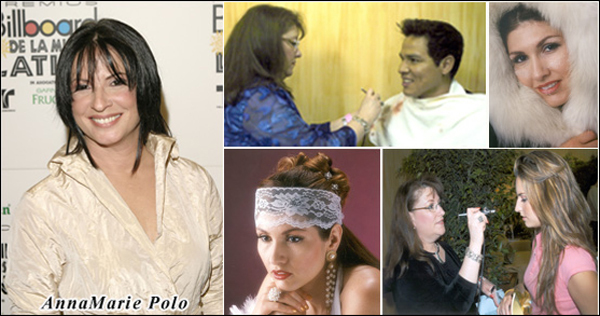 Fernandez who is certified in the application of airbrush makeup and participates in the ongoing seminars and continuing education courses to keep her skills and techniques up-to-date, has been offering the service for several months. It works like this: the airbrush is powered by a small compressor and distributes a water and silicone-based makeup onto the skin in a very fine spray of microscopic dots. The spray can be set for a range of speeds, from super-fine for the application of eyeliner and concealer to a wider spray for foundation and blush. "The secret to airbrush makeup’s flawless results is the microscopic dots." says Fran. They create complete, even coverage that, in addition to makeup application, can be used to cover tattoos, tone down sunburns and even brown spots and rosacea. Yet the final look is completely natural and barely detectable. Alternative uses include face painting and creating temporary tattoos. Airbrush makeup is water resistant, sweat and smudge proof and non-transferable, yet it can be easily removed with soap and cleanser and water.